Once again, wrestling podcasts are all the rage as of late. But there's only one wrestling podcast you need in your life, and that's us. Wrestling With Friends. 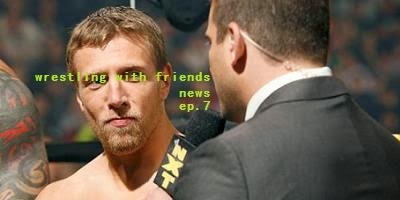 Join Blake, Andrew, Mr. Wrestling II & Erik, just a couple of friends chatting about wrestling. Won't you be our friend? Final Song - Insane Clown Posse, "Oddities"
EPISODE 50: WILL YOU STOP! YELLING IN MY EAR?